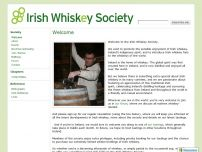 Welcome to the Irish Whiskey Society.We exist to promote the sensible enjoyment of Irish whiskey, Ireland's indigenous spirit, and to introduce Irish whiskey fans to the whiskeys of the world. The life blood of many a man and woman and one of the most pleasurable pursuits of seamen all over the world. I had my first sip of whiskey at age 12 and it was one I sneaked off a table during a family event, it was also my last for another 10 years. I still remember the burn as it passed down my throat and the resulting mess I made all over the table as I threw-up. A hard lesson for a young boy, and never forgotten. Three years later and I start onboard the M.V. Munster as a galley boy and have a direct introduction to some of the hardest drinking men I have ever seen. These men had sailed all over the world and had experience of some the strongest drink available and because of that were well able to have a drink and work their next watch. It showed me how to take responsibility for myself and the way I treated drink. Over the next 33 years onboard ships and ashore I only drank whiskey for pleasure and anytime I have gotten drunk it was mostly from beer. For years before the ships went dry I would have a bottle of Irish ( Black Bush or Crested Ten) or Scotch in my locker and would have a single glass before turning in after a 12/13 hour watch. I now collect and drink whiskey for pleasure and still drink beer. So nothing has really changed except I now have a deeper appreciation for whiskey, its history and the process it has to go through to be called whiskey. My own preference now is for single malts such as the Bushmills 16year old but I have a growing appreciation for whiskey like the Redbreast 12yo a pot still whiskey and some of the Japanese blends like the Hibiki 17 or 21yo. 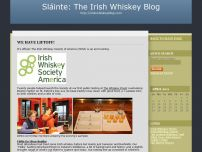 My thoughts on writing about this were hopefully to bring an appreciation about whiskey and in particular Irish whiskey. It has lost a lot of ground to Scotch since the early part of the last century and increasingly to some World whiskies and I would hope to see it gain a greater reputation thanks to the efforts of distilleries like the established Bushmills (1608) Midleton(1780) and Cooley (1987) and the increasing number of new independent distilleries and bottlers. I am not in anyway an expert or very knowledgeable about whiskey but would hope to encourage you into an appreciation of whiskey, one that I have gained over the years and would also encourage you to please drink it responsibly. I have added some of my favourite whiskey sites and hope you will look in on them and that they will help you enjoy one of the best pleasures of our society, good drink and good company. The world’s premier whiskey tasting show makes its debut in Dublin at The Mansion House Round Room, Dawson Street, Dublin 2. Whisky Live brings the whiskies of the world together under one stunning location; from Ireland, Scotland, America and Japan with food and whiskey combinations and exclusive Masterclasses. 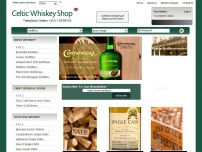 Tickets from the Celtic Whiskey shop or online at Whisky magazine site. 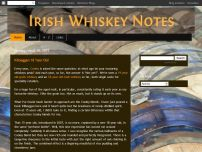 Irish Whiskey Notes is an exploration of everything and anything to do with Irish whiskey and whisk(e)y in Ireland. The product, the business, the heritage, whiskey-related events... it will all be covered here. The newest blog on all things Whiskey, with the main emphasis on Irish whiskey. distilleries, people and latest news. 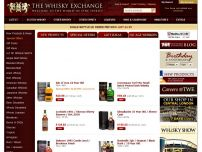 The most entertaining, informative and knowledgeable site about Scotch and all things relating to whisky.